No time to read? Listen to the audio version of the review. Ingredients: Did you like The Lord of the Rings trilogy? Then you’ll like this movie. 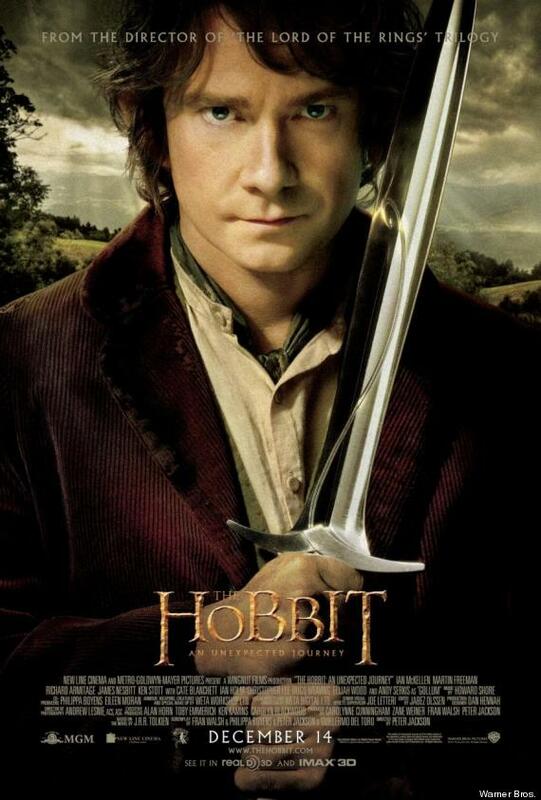 Well we’re back to Middle Earth and once again there’s adventure abound in The Hobbit: An Unexpected Journey. This time the grand wizard Gandalf (as played again by Ian McKellen) comes calling on a young Bilbo Baggins (Martin Freeman) to aid a group of dwarves in recovering their stolen treasure being hoarded over by the monstrous dragon Smaug. The party’s leader, the kingdomless dwarven king, Thorin (Richard Armitage), plans to win back his people’s homeland from the dragon but there are a great many that wish to see them fail. Now following these rowdy warriors, the unsuspecting hobbit from Bag End is taking an unexpected journey...part 1. Director Peter Jackson is taking on the daunting task that George Lucas utterly failed at by trying his hand at making a trilogy that’s a prequel to another highly successful trilogy. And if this film is any indication, he might very well succeed. Featuring several returning characters, retreading familiar landscapes, and continuing established continuity makes the film truly feel like a part of the over all story and not an unwelcome addition. Jackson sprinkles in plenty of sweeping landscape shots, epic set-pieces, grand musical scoring, and well-written characters which made the award winning Lord of the Rings series so popular. Unfortunately, the biggest difference is evident in how the plots are written. The Hobbit: An Unexpected Journey, though keeping fairly close to the source material, does feel like a much looser story compared to any of the other films in the series so far. There are a lot more side characters and subplots happening at the same time which distracts from the main story at times but I’m sure are key elements in the conclusion of the trilogy as a whole. While The Lord of the Rings films struck a fantastic balance of showing just how chaotic a battle was but without losing sight of the individual characters or slowing down the story, this film does not fare as well. And part of the problem might be that the movie features more completely computer generated creatures over the previous installment’s emphasis on practical costume design. The tone between this film and the original films is also drastically different. It’s far more light-hearted and whimsical; so much so that it takes a turn for the cartoonish at times. The best way I can explain it is that The Lord of the Rings trilogy was a clearly defined epic story while the new trilogy seems more geared towards fantasy adventure. Also, with so many characters occupying the screen for such a short amount of time, several of them feel shallow or one-dimensional. However, Martin Freeman, Richard Armitage, and Ian McKellen give outstanding performances and more then live up to the expectations set by their predecessors. I wholeheartedly recommend this flick to anyone that is a fan of The Lord of the Rings trilogy, enjoyers of fantasy movies, or moviegoers looking forward to the next big series that will be dominating theaters. Personally, I’m really looking forward to the next installment. I can already tell next year is gonna be a good year. Oh, yeah, the Mayian thing. Well crap.